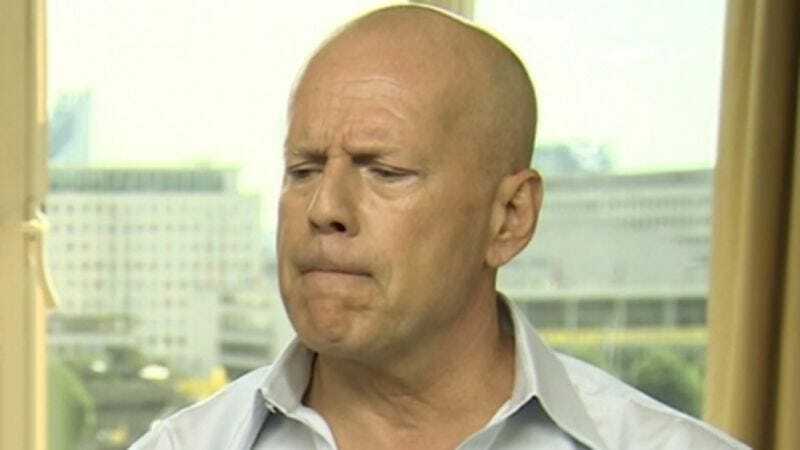 Having accepted, as must we all, the inescapable tedium of life and its unceasing procession of fireballs, bored action film star Bruce Willis has agreed to be bored in another action film, in exchange for the money that is the only salve for his spiritual desolation. Willis has lethargically taken pen in hand and scrawled a looping “W.” at the bottom of a contract for The Prince from Emmett/Furla, the production company whose films like 2 Guns and Escape Plan manufacture the rote sequences of flying bullets and urban destruction that are now like a Gaussian blur applied to Willis’ very life, removing all detail but that which has a dollar sign in front of it. In The Prince, Willis will dutifully read the scripted lines beneath the character name of a dangerous man who intends to confront a Las Vegas mob enforcer, one who’s recently been forced out of retirement by his daughter’s kidnapping. This results in a violent confrontation that is once more so much indiscernible clamor and savagery, as Bruce Willis stoically regards each explosion as another dying star hurtling toward extinction, and hails this well-met friend in horrible empathy.